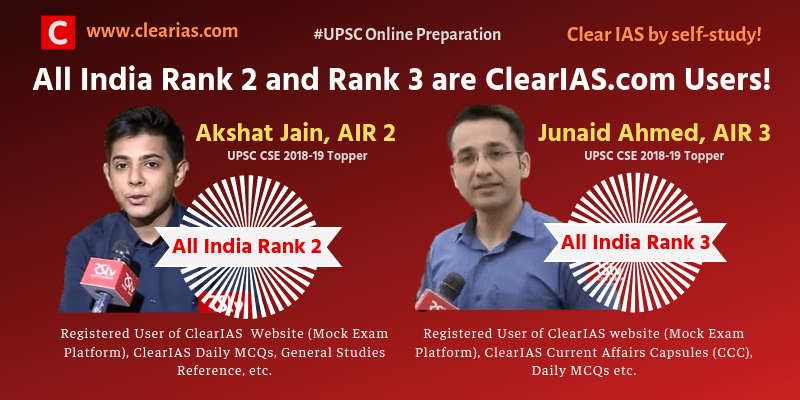 UPSC CSE Results 2018-19 – All India Rank 2 and Rank 3 are Registered Users of ClearIAS! When it comes to UPSC Online Preparation, ClearIAS.com is one of the top websites aspirants trust! No wonder, All-India Rank 2 and All-India Rank 3 in this year UPSC Civil Services Exam (2018-19) – Akshat Jain and Junaid Ahmed – are registered users of ClearIAS. @Akshat, @Junaid – We are really proud of you! Congrats! May your success stories inspire thousands of future aspirants! The 23 year-old Akshat Jain is a graduate from IIT Guwahati. He did not attend any coaching classes for his general studies paper, as he preferred online preparation and self-study. Akshat was a regular user of ClearIAS website. He refereed ClearIAS for GS Topics. He said he also got benefited by the Daily MCQs (most probable questions we email to our registered users). Even though he downloaded many ClearIAS Current Affairs Capsules (Monthly MCQs PDFs), due to pausity of time, he was not able to finish all of them. All this feels a bit surreal, to be honest. While I knew my name would feature somewhere in the list, clinching the 2nd rank is something that I must admit I did not anticipate. 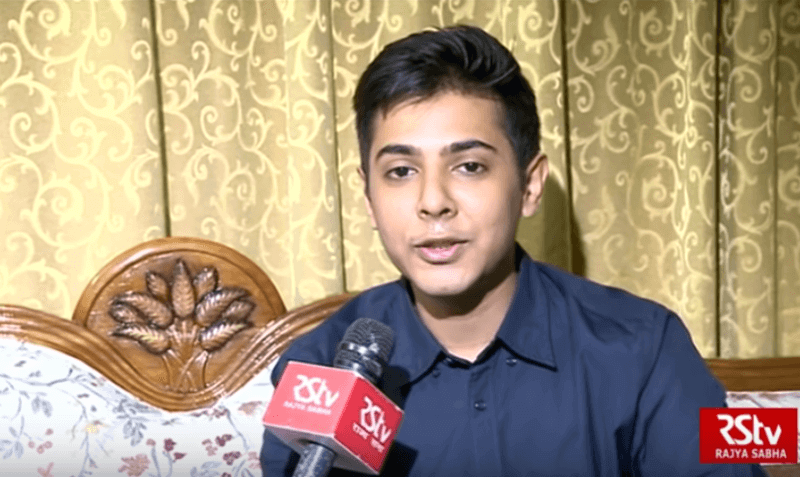 – says Akshat after securing All India Rank 2 in UPSC Civil Services Examination 2018. Akshat thanked the entire ClearIAS Team for the help and online guidance. The 27 year old Junaid Ahmed secured rank 3 in his fifth attempt. However, he had already cleared UPSC Civil Services Examination 2017 with rank 352 and has been serving in the Indian Revenue Service (IRS). Junaid gave credit of his success to the internet, which according to him, if used productively, is a great resource. Junaid is a registered user of ClearIAS Mock Exam platform right from 2015. He was also a regular user of ClearIAS website study materials, ClearIAS Current Affairs Capsule (CCC), and ClearIAS Email Program (Daily MCQs). 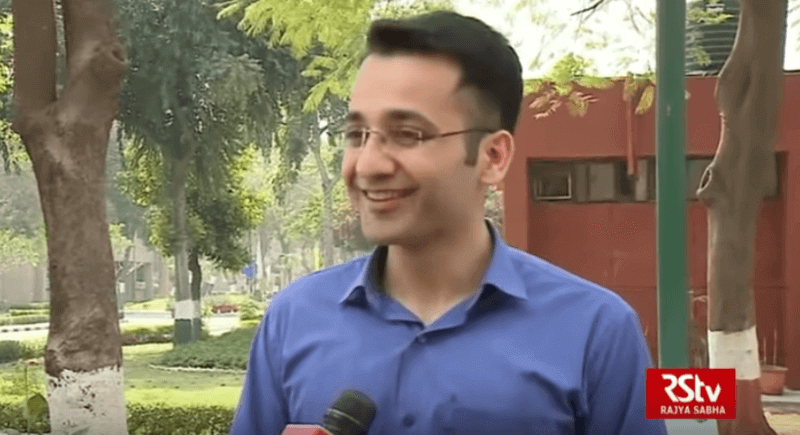 Preparing online for UPSC Civil Services Examination 2019? If you depend on self-study and online preparation for UPSC 2019, we strongly recommend you to join the flagship service of ClearIAS – ClearIAS Prelims Online Mock Test Series 2019. Registrations/Enrollments are currently open for ClearIAS Prelims Test Series 2019. Once you enroll, you will get instant access to already uploaded online mock exams, and automatic access to upcoming mock exams as per ClearIAS Time Table for Prelims 2019. You can take ClearIAS online mock exams at any time convenient before Prelims 2019. 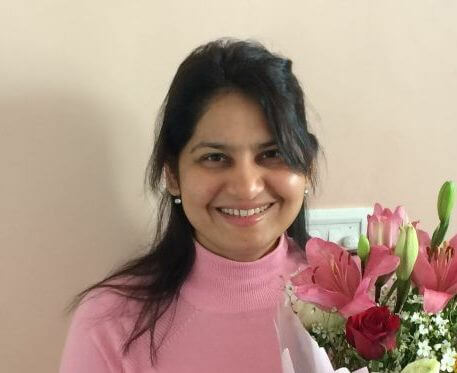 As enrolled users of ClearIAS Prelims Test Series 2019, you will also get many value additions – like compilations of Daily MCQs, priority guidance and support, student offers on ClearIAS ebooks, exclusive access to ClearIAS workshops (Intelligent Elimination Techniques) etc. @ Sudharshan – Thank you for the support and appreciation. 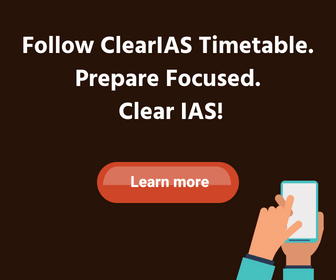 ClearIAS believes that services like IAS, IPS, IFS etc need the best brains in the country and we strive to ensure that no deserving candidate be left out of UPSC exam competition due to inaccessibility of expensive IAS classroom coaching. All the best! @ Mosiar – Thank you for the comment. We salute the hard work of the candidates. @ Sai – Thank you. It’s the effort of the candidates. We just played a supporting role. They are the heroes.